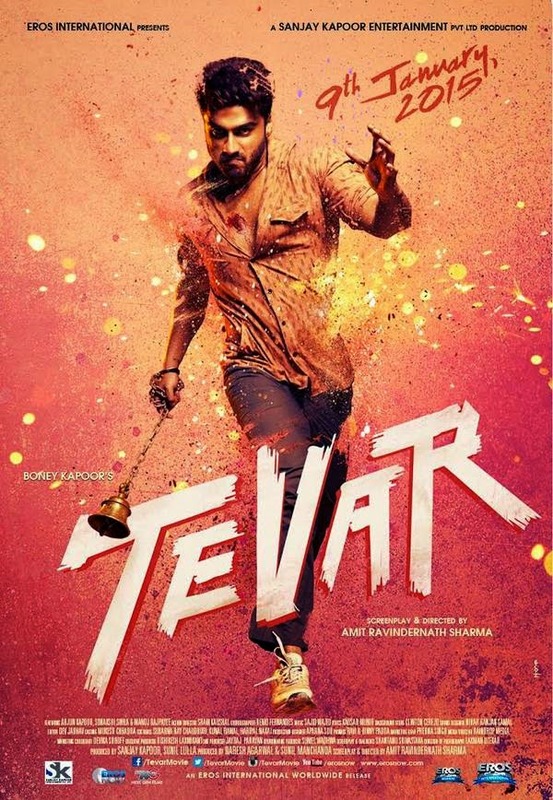 Tevar is the forthcoming bollywood action-romantic movie directed by Amit Sharma and the story penned by Gunashekar. Arjun Kapoor, Sonakshi Sinha and Manoj Bajpayee plays the lead characters. The film is twin brother of the Telugu movie 'Okkadu' (remake) :) . Which was directed by Gunashekar himself. 'Okkadu' was also remade to Tamil as 'Ghilli'. The movie was blockbuster hits in both the languages. Boney Kapoor and Sanjay Kapoor produces the venture under, BSK Network and Entertainment. The BGM and Music is composed by Sajid-Wajid. The movie is scheduled to be released on January 9, 2015.